You have probably heard the analogy of the frogs in a pot. When placed in room temperature water in a pot, they are oblivious to the rising temperature of the water until it is too late and they cannot jump to safety. I feel like Montella and Milan have been starting to simmer in the heat of disappointing performances, and if they don’t start jumping now, it will be too late. Well at least for Montella, he definitely seems to be out of his element and in some very hot water. Genoa are in deep water, sitting just above the relegation line with only one win, two draws, and five losses. However, their one win came just last week against Cagliari. For that 3-2 win, Juric lined up Perin; Rossettini, Zukanovic, Izzo, Milan’s favorite ex Bertolacci, Veloso, Laaxalt, Rosi, Galabinov, another favorite ex-Milan star Taarabt, and Rigoni. Juric will be missing Gorga, Spolli, Cofie, and Centurion to injury. Yet another ex-Milan player, Lapadula, is not completely fit, but will likely be on the bench. Certainly Juric knows what it is to be under fire as a coach, but after finally winning last week, will be looking for job security in the way of three points each week, starting at the San Siro with us. 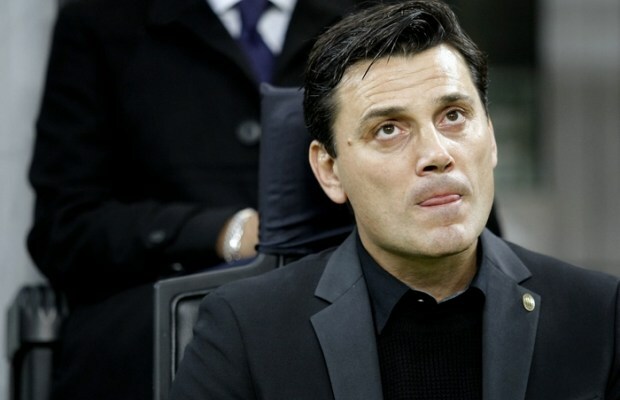 Montella has been under increasing scrutiny with every match. He raised some eyebrows in a good way with his tactical and effective subbing on Sunday vs. Inter, but lost any credit when he put another flat 3-5-2 out vs. AEK Athens in the Europa League and was unable to get anything more than a point out of that match. Even ahead of the match, Mirabelli mentioned that Montella’s time was running out, and Montella admitted he was still not clear on which players to play together. With fifteen competitive matches plus friendlies under his belt, as well as having been given most of the team in early July, that is a huge red flag that he is in over his head. Conti will not be on the pitch, but will likely be in the stands, as he has at been at every home match excepting the day of his surgery to support his team. I love that kid. Montella will have his precious Kalinic back, who made it to the bench and played a few minutes on Thursday. Antonelli is unlikely to make fitness, but I believe he’ll have everyone else, so no excuses there. However, the pressure is immense on him to get three points from Genoa and then Chievo midweek, because we’ve got Juventus and then AEK in their house after that. It really is sink or swim for Montella. 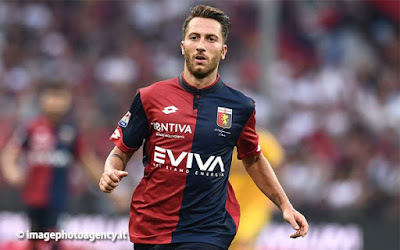 Genoa have nothing to lose and everything to gain. Milan have everything to lose. Period. We are in tenth place, having lost four of our eight league matches. Sure, we can still reach a top four finish, but it gets less and less realistic each game that we lose. We can’t underestimate Genoa for their position on the table, and we cannot go 45 minutes without scoring. If Montella doesn’t want to be frog legs for dinner, he’s got to jump out of the pot, out of his comfort zone, and out of the hot water.